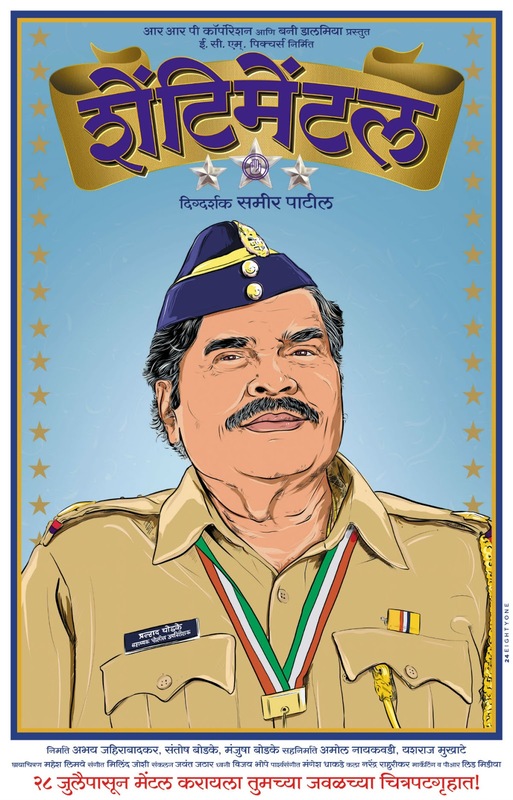 "Ashok Saraf" the most respected and one of the finest popular loved actor from Marathi film industry is coming up with brand new movie titled "Shentimental". It is a black comedy film, which revolves around Mumbai Cops in which Ashok Mama will be performing a role of Cop. The movie is written and directed by Samir Patil, who has given back to back two hit movies titled "Poshter Boyz" and "Poshter Girl" which were in same genre and which had spread the important and meaningful messages in society. So we can expect nothing less than this and with presence of such great actor we can definitely expect more laugh riot. Other actors in film in a important role are Upendra Limaye, Vikas Patil, Pallavi Patil, Suyog Gore, Raghuveer Yadav, Ramesh Wani, Madhav Abhyankar, Uma Sardeshmukh, Pushkar Shrotri, Rajan Bhise and Vidyadhar Joshi. The movie is produced by Engineer Combined Motion Pictures LLP and present under the banner R.R.P. Corporation and Bunny Dalmia. The film will release in theater on July 28 2017.